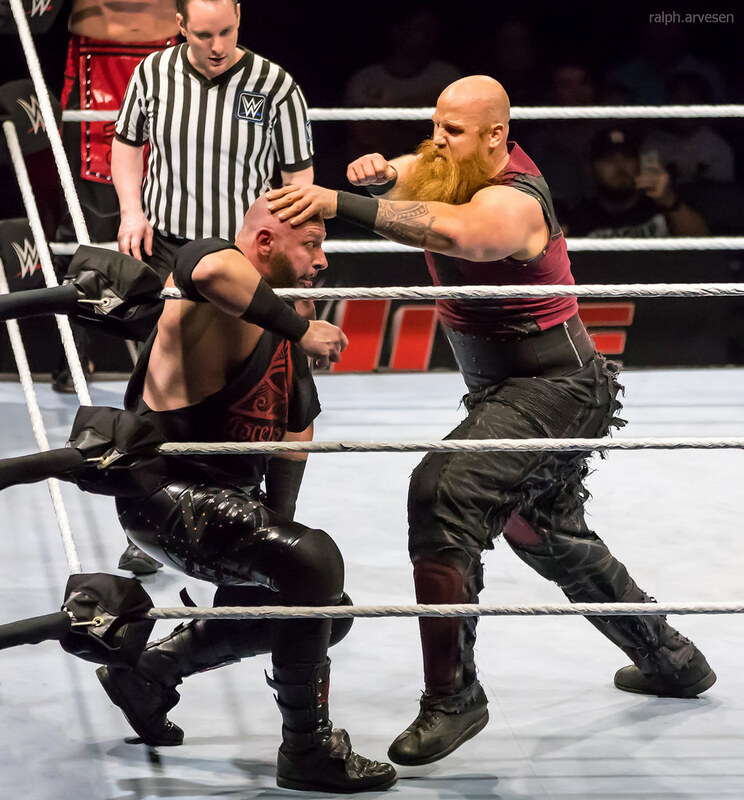 The Bludgeon Brothers (Rowan and Harper) defeated The Ascension (Viktor and Konnor) at WWE Live Road to WrestleMania at the HEB Center in Cedar Park, Texas on March 19, 2018. Don’t let the sheep mask fool you: “Gentle” is not in Rowan’s vocabulary. 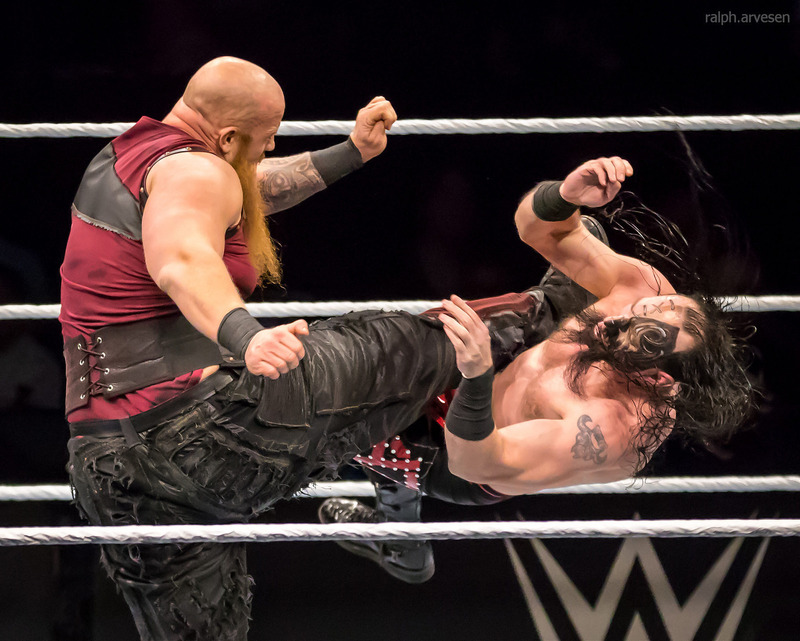 Despite the dirty woolen façade this bearded brawler wears to the ring, Rowan bears far more similarities to a beast than Bambi. 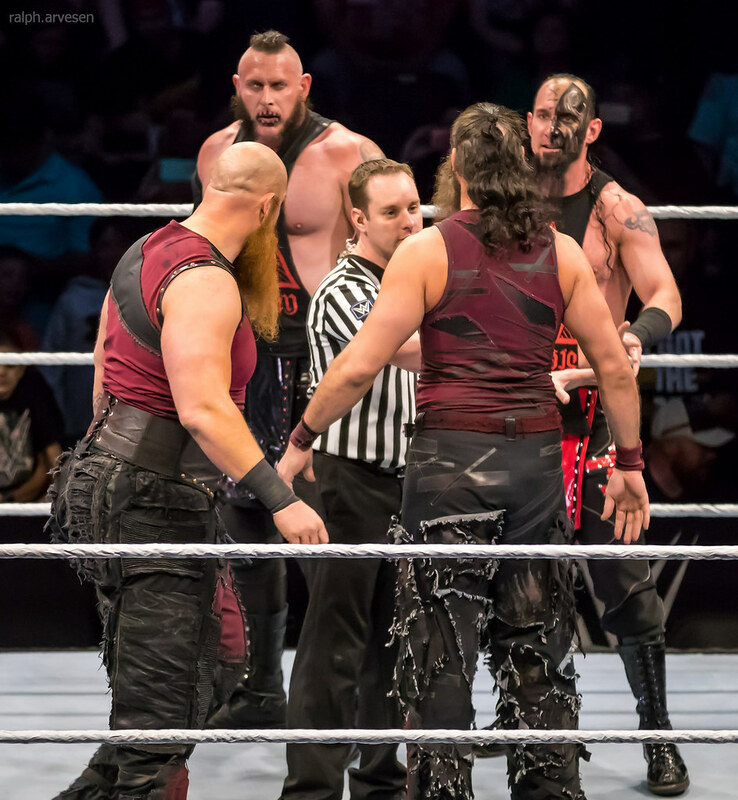 As a member of Bray Wyatt’s Wyatt Family, Rowan initially supplied both muscle and intimidation throughout The New Face of Fear’s quest to conquer WWE, teaming with fellow family member Harper in the process. Strong, erratic and strange, Harper doesn’t say much, but when he does, it’s with a purpose. 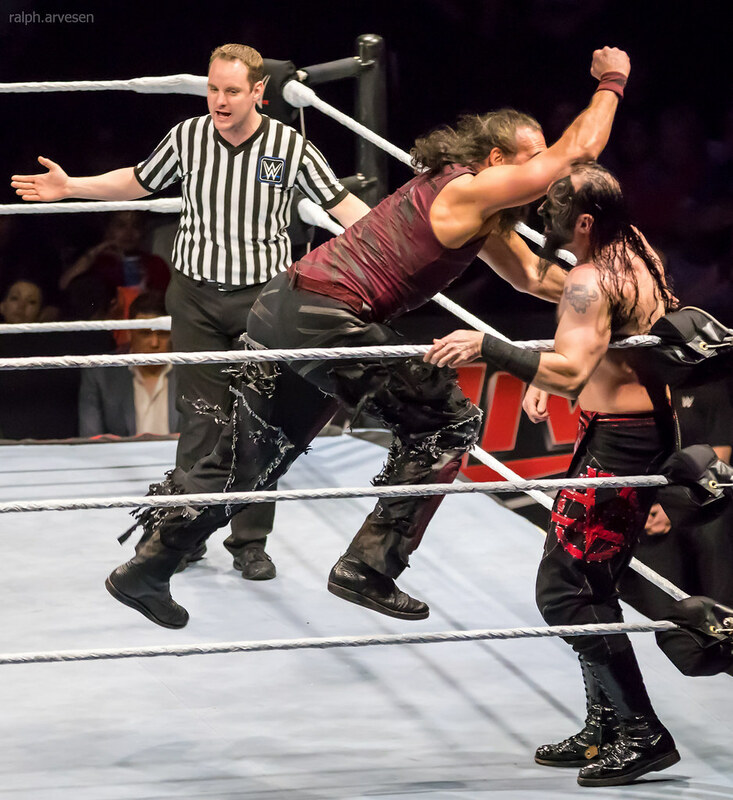 Harper first emerged as a monstrous follower of Bray Wyatt along with Rowan. 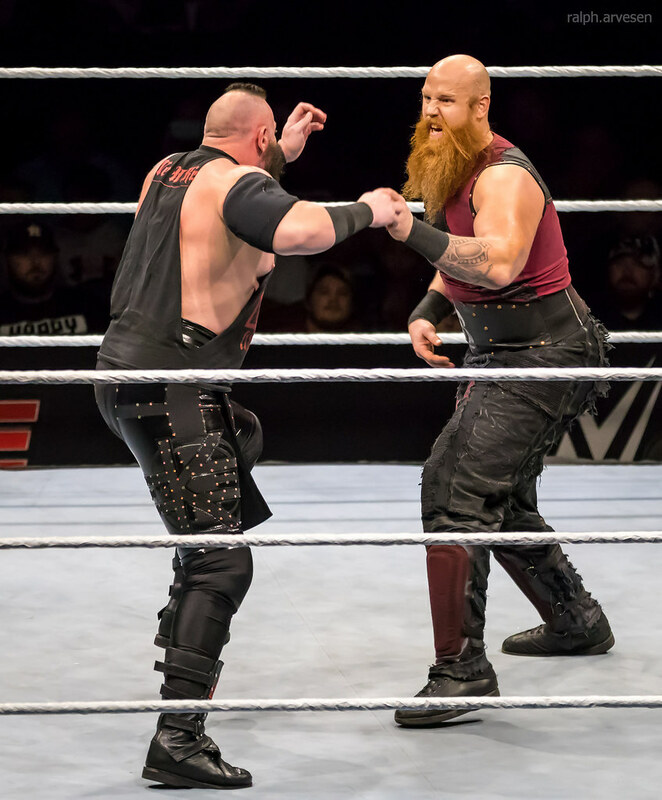 He and the rest of the deranged Wyatt Family wasted little time in clenching a tight grip around the WWE Universe, engaging in heated rivalries with the likes of Kane, Daniel Bryan, The Shield, John Cena and The Usos. 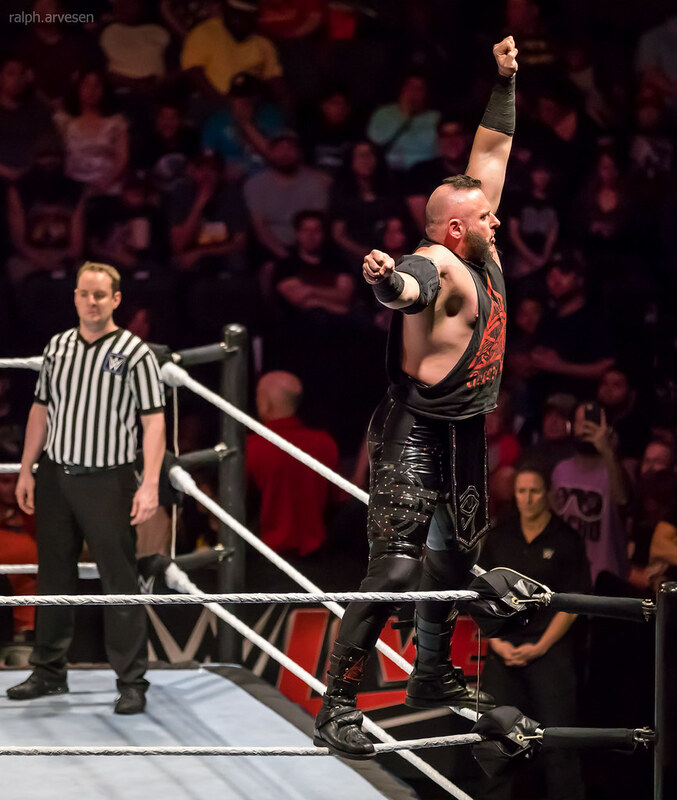 Viktor has a vision, and he will do whatever he can to instill that vision into the WWE Universe as one-half of The Ascension with Konnor. The unconventional Superstars from The Wasteland are motivated by a peculiar mindset to which only few can relate. He’s demented and shrouded in mystery, acting as the dark cloud over WWE. 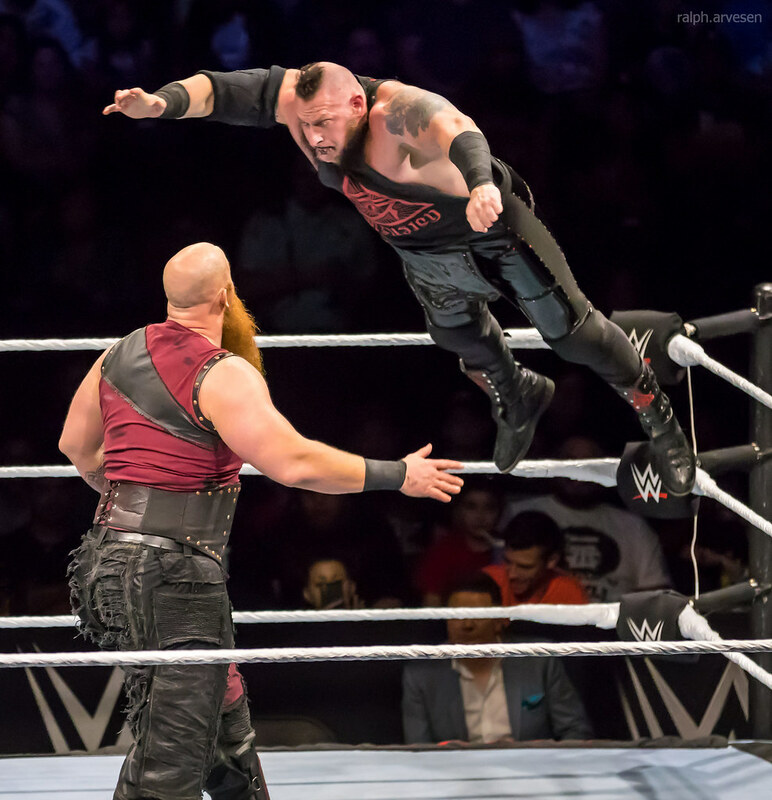 The Ascension's Konnor, alongside his tag partner Viktor, preys on his competition with a combination of mind games and pure strength. 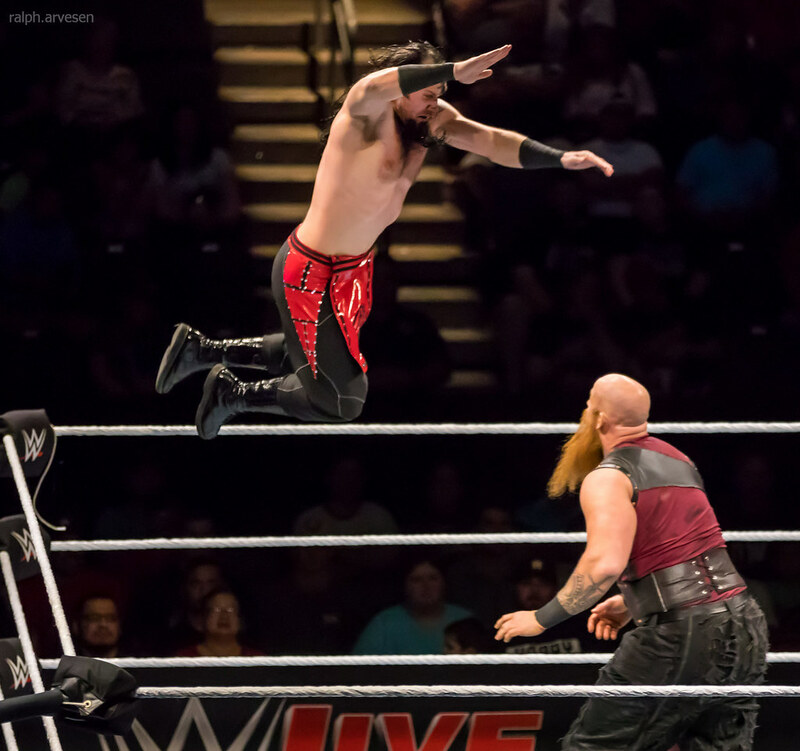 The Ascension first made their mark in WWE NXT, dominating the tag team landscape with brute force and holding onto the NXT Tag Team Championship for a record-setting 344 days.